The Chrysler 300C has a distinctive exterior with a platinum chrome finish on the grille surround, exterior mirrors and door handles and the 20-inch aluminium wheels. 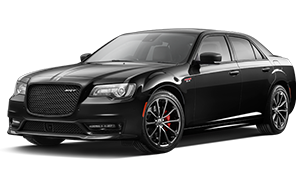 Each 300 model features Chrysler’s awarded 8.4-inch UConnect® system operable via voice recognition or simply tap large, easy-to-use icons featured on the user-friendly colour touchscreen display. 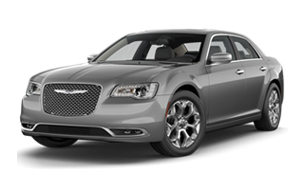 Boasting more than 80 available safety and security features from the ground up, Chrysler's flagship sedan surrounds occupants with seven airbags standard. A suite of available safety assist technology includes Adaptive Cruise Control with Stop, Blind Spot Monitoring, Full Speed Forward Collision Warning (Autonomous Emergency Braking) and Lane Departure Warning, designed to help give you outstanding peace of mind.